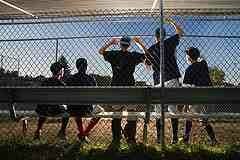 Why A baseball career ends and the top 7 reasons youth drop out of sports. Why Do 75% of Youth Players Drop Out by Age 14? A baseball career is shortlived according to the NCAA. Have you seen the TV ads about going pro in something other than sports? Studies by the NCAA tell us that up 75% of players drop out by age 14. 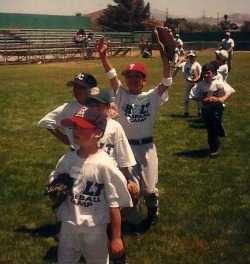 Why do kids stop playing and end their baseball career? When the focus of youth baseball changes to what is best for the coaches, parents, and administrators then that is where the problems begin. The current approach from coaches, over zealous parents and rude spectators all add up to nudging players out of the games. Thomas Tutko, a sports psychology professor emeritus at San Jose State University explains this way. "If children go practice, perform painful drills, and improve their skills, but have no fun, and if the coach constantly hammers at their mistakes, after awhile they are going to think, do I really want to be here?". Are You Helping to Keep Kids in the Game? A baseball career can end at any time for any number of reasons. Baseball is not for everyone. Baseball is a difficult game to play well and you cannot hide your deficiencies. The game can be very embarrassing and humbling. The ball will find you. This is not soccer where you can get lost in the pile. In baseball the spot light is on you. You are going to have to be able to throw it, catch it and hit it to survive. Providing a quality player friendly and appropriate development system does not just happen. It takes education, time and dedication to learn the proper approaches. Baseball Career: Lack of Playing Time is the basis that sets up the exit to the baseball career door out. Sitting the bench, riding the pine, and bench warming is a sure fire excuse to look for the way out. When a player is not good enough to play a majority of the baseball innings then many of the rest of the seven factors all start snow balling down the hill. Embarrassment, lack of parental support, dissatisfaction of performance and a lack of enjoyment begin to erode the players enthusiasm. 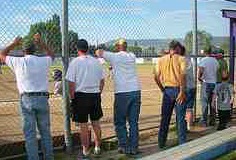 Baseball players start looking for a way out and search for other activities. Certainly there is no disgrace in ending a baseball career. A baseball career is going to end for everyone eventually. How are you going to help players build skills in order to be able to play more positions, hit the ball squarely and enjoy the game more? By educating and equipping yourself with a player development system. 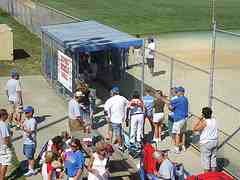 As youth baseball players get into middle school baseball and high school baseball winning becomes more of a factor. 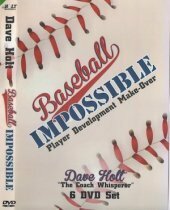 Developing baseball players skills are put on the back burner and the players who play the best in up playing the most. If a player cannot produce enough offense or defense to help a team win games then they will find themselves more and more picking splinters from the bench. Help your players build defensive skills and approach hitting like the pros. Eventually, most players are not up to the embarrassment of too much bench time and stop playing baseball and find other things to do with their time. How will you try to keep kids in the game? Hitters will go as far as your bat will take you. You might have heard it said, "If you hit enough, they will find a place for you to play." Well, that is mostly true. If you can 'hit' and/or utilize your running speed enough for the coach to put you in the line-up and help your team's offense, chances are you are more likely to stay in baseball. Once a player reaches a point (and everyone does sooner or later) when they can no longer create consistent run production for their team compared to other teammates then that is the beginning of the end of the baseball career. How can you help your players be a better hitter? I will bet you don't teach hitting like the pros. Exceptions to the rule will be good pitchers and above average defensive infielders. Especially shortstops and maybe centerfield and catcher. 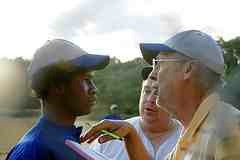 Most baseball coaches have never had any training what so ever coaching baseball. 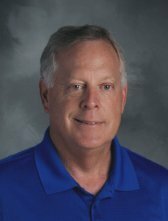 Not only do coaches lack the knowledge on the techniques, fundamentals and strategies of the game, they also have no idea how to treat players. We have a major lack of training in our youth league baseball coaches. This void in coaching certifications and training often tends to allow coaches to have a poor approach to youth sports. Do you want to have a healthy coaching approach? Or do you want to contribute to chasing kids right out of sports? Many youth baseball coaches and youth baseball parents fail to realize or maybe forget how difficult playing baseball well really is. When the adults put too much pressure on kids to perform, over emphasize winning, and have coaches that don't know how to make baseball practice plan templates fun then we start chasing kids away from youth sports. Kids end up looking for other activities. Learn how to build a positive coaching approach. Parents so often get caught up in the performance and how well the child played. If little Johnny or Katie did well then the parents tend to praise. If they perform poorly the praise diminishes. As the youth player performs less and less and the praise from the folks gets less and less then guess what? The lack of social support from the parents in effect helps drive the kid away from the game. What is the best line you can tell your kids after the games? People are attracted to things they are usually pretty good at. When baseball becomes a real struggle to be successful then the youth league player will try to find other activities they are better at. Or they will just say, "I'm not going to spend all that time at practice and games with minimal playing time when I could be making money working, doing my homework, or playing another sport, Boy Scouts, band and so many other options out there. Ways you can help your players build skills to stay in the game. If we are partially good at something then we are more likely drawn to that activity. If we can sing 'take me out to the ballgame' decent then we might be a candidate to sign-up for choir class. if we can't sing a bit then we likely will not get into choir class. We will lose interest in singing and find other stuff to get involved with. If the game of baseball does not bring enjoyment to us then and becomes an embarrassment to sit the bench then we fold the tent and pitch it someplace else. Certainly there is no disgrace in having interest in other constructive activities. Building player development into your daily team activities improves skills and keeps kids in the game.